A wonderful world of wetland ensconced in desert, Botswana is a land of stunning contrasts. From the lush Okavango Delta that teems with wildlife to the intoxicating beauty of the Kalahari Desert, embark on safari by land or by water. Towards its north-western corner, the scorched land of the Kalahari suddenly gives way to an incredible deluge of water that spills out into a labyrinth of waterways that covers more than 8,500 square miles of Botswana. 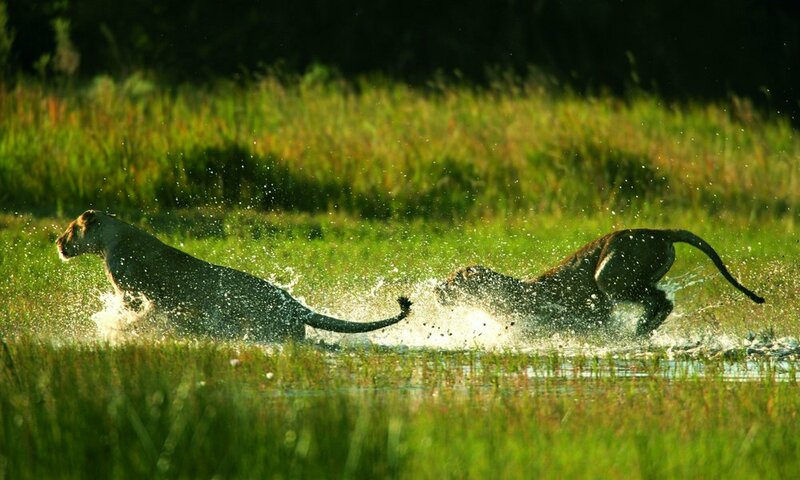 This is the Okavango Delta and one of Africa's wildest places. Ten billion tons of water enter the delta each year and bring life to this otherwise harsh desert land. Individual lodges and tented camps occupy private concessions, giving you an exclusive and unique experience of the delta. 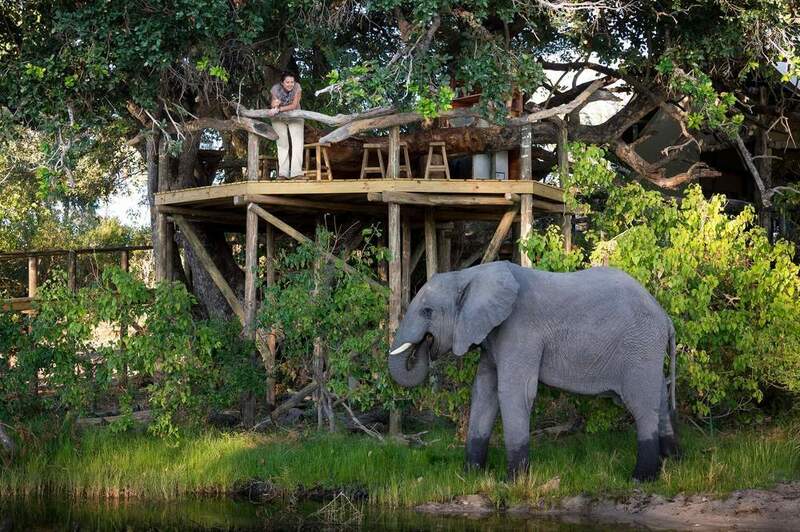 Botswana's small, intimate game lodges never fail to charm their lucky guests. 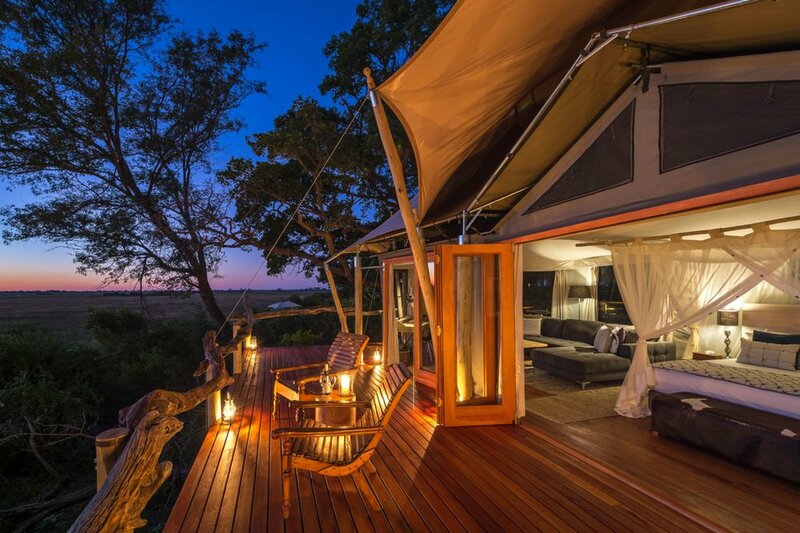 Accommodation ranges from thatched bush chalets to safari tents, tree houses, and mobile tented camps. The camps are small, intimate, and exclusive with a capacity from eight to 16 guests. These camps and the reserves in which they are situated offer some of Africa's most impressive wildlife experiences. Botswana's tourism policy to protect the very fragile ecology of the Okavango Delta is high cost and low density. Therefore, camps have a very high standard and are scattered over a vast area. "The most adrenaline-pumping, heart-pounding moment came when our land cruiser parked 15 feet from two female lions and their three cubs." 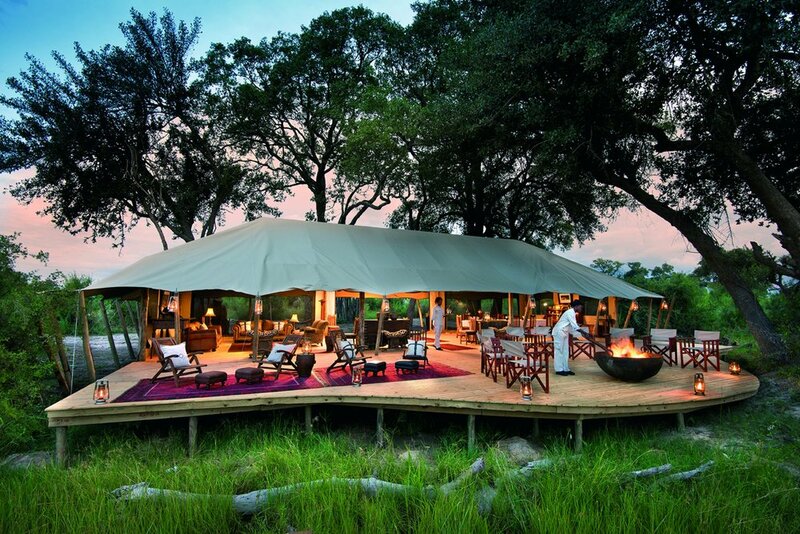 The brand new Duba Expedition Camp sits in the heart of classic Okavango Delta habitat in Botswana. A matrix of palm-dotted islands, flood plains and woodland, the nearly 200,000-acre private concession typifies the region’s unique landscape. 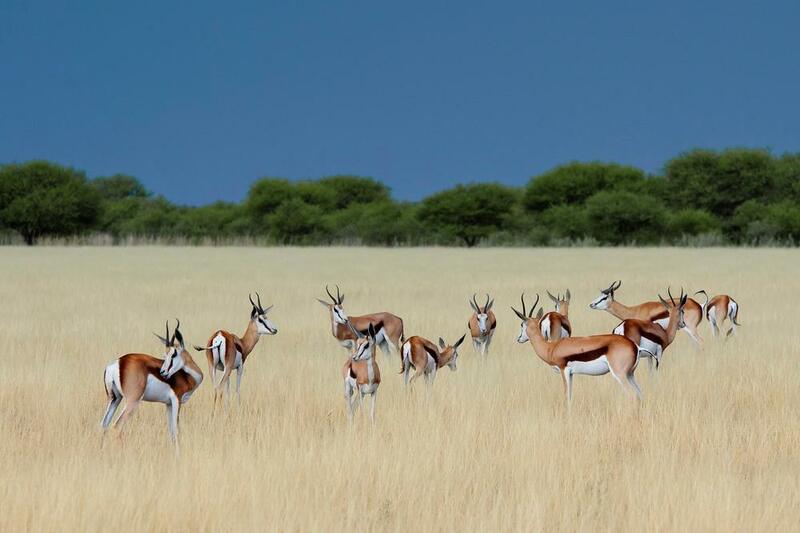 Duba Plains is one of Outside GO’s absolute must-see camps. 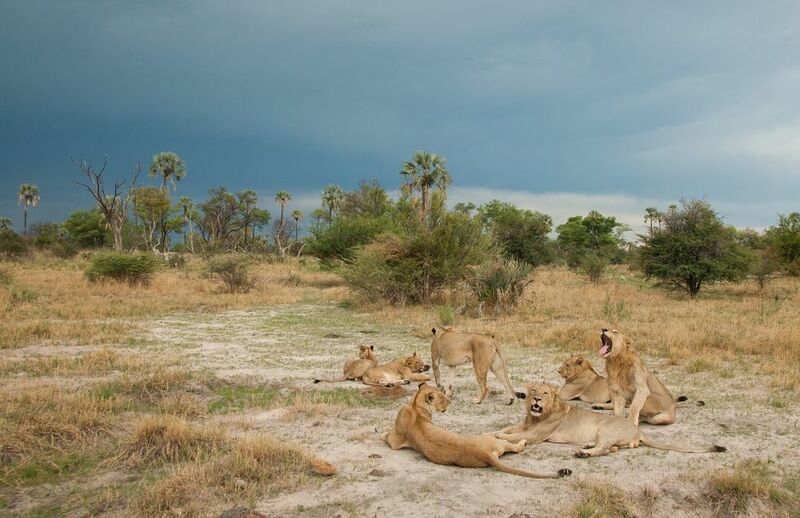 Located on nearly 200,000 acres of undisturbed wilderness area in the Okavango Delta, the wildlife is only one of the reasons we’re so in love with Duba. Experience one of the most unique wetland areas in the world in the northern region of Botswana’s Okavango Delta at newly remodeled Mapula Lodge. 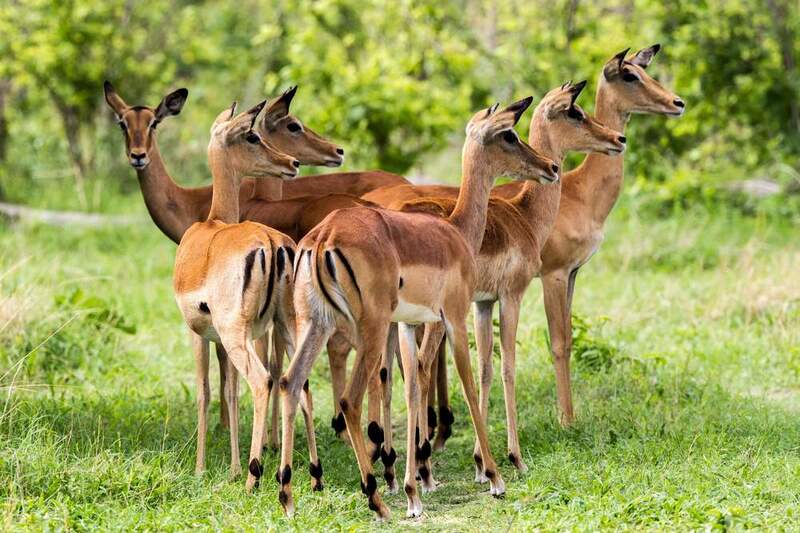 Newly rebuilt right next door to the world-famous Moremi Game Reserve, Sable Alley is the perfect destination to kick back and enjoy premium wildlife viewing without even stepping foot out of your safari tent. This newly remodeled safari chic retreat is one of the most luxurious ways to experience Botswana’s renowned Moremi Game Reserve. In the extreme north of the Okavango Delta you'll find an eco-retreat where extraordinary game viewing (on land and water!) is simply the status quo.